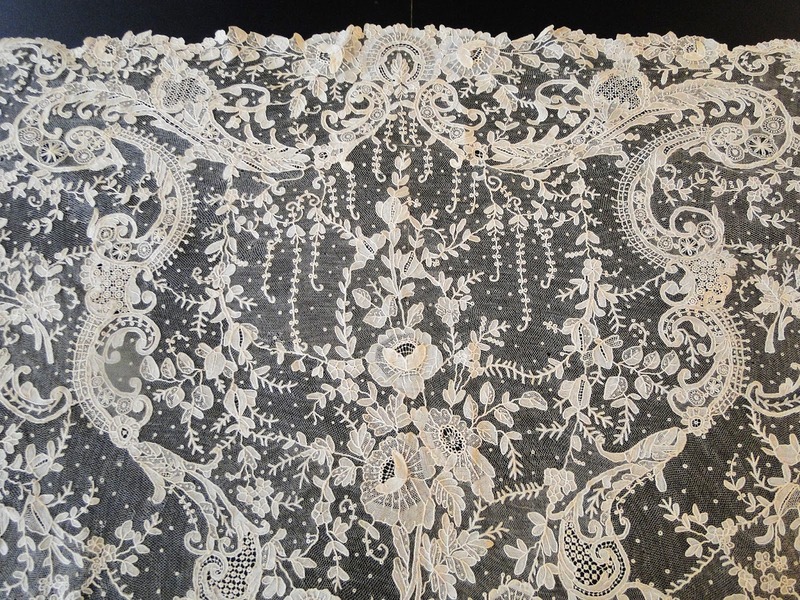 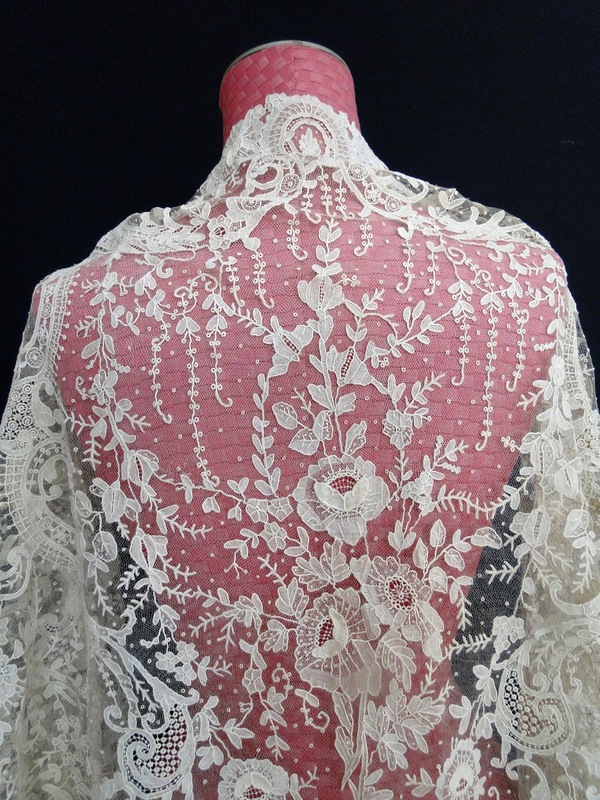 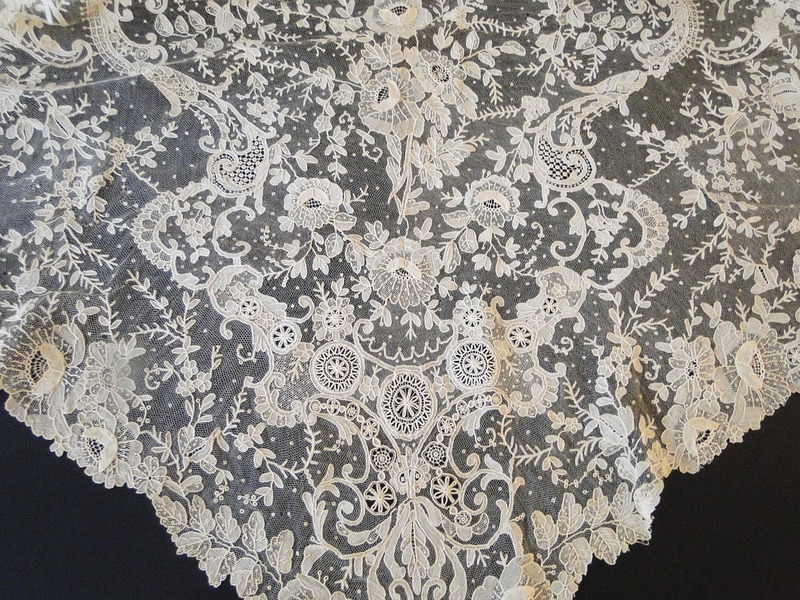 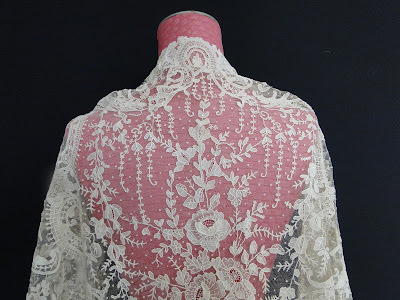 CIRCA 19THC.EXQUISITE BRUSSELS POINT DE GAZE LACE TRIANGULAR SHAWL. 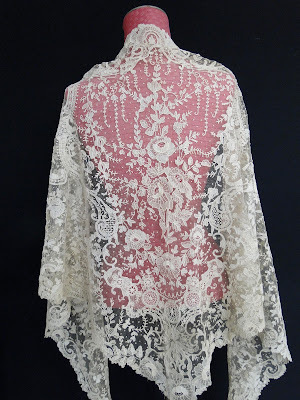 A very beautiful cream Brussels Point De Gaze lace triangular shawl measuring apprx. 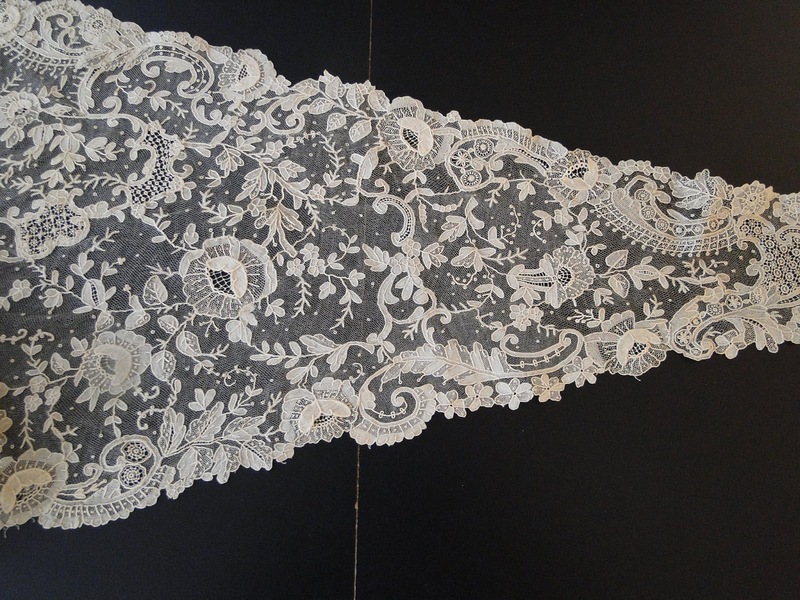 96" by 35" at widest part,apprx. 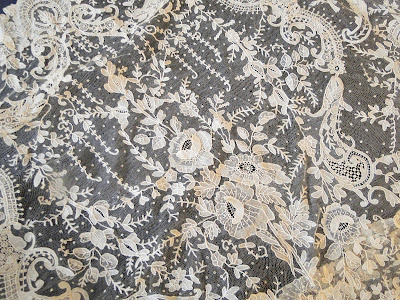 243.84 cm by 88.9cm. 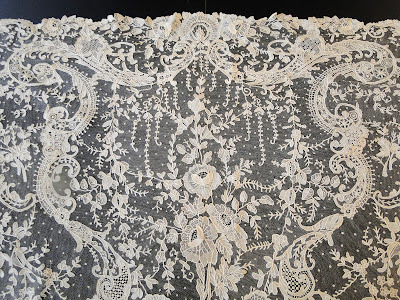 The design is quite lavish and heavily encrusted with scrollwork, there are roses with three dimensional petals, and swags of flowers meandering vines and florals and scattered Point De esprit throughout the shawl.The shawl is excellent in design and workmanship and retains its original cream patina. 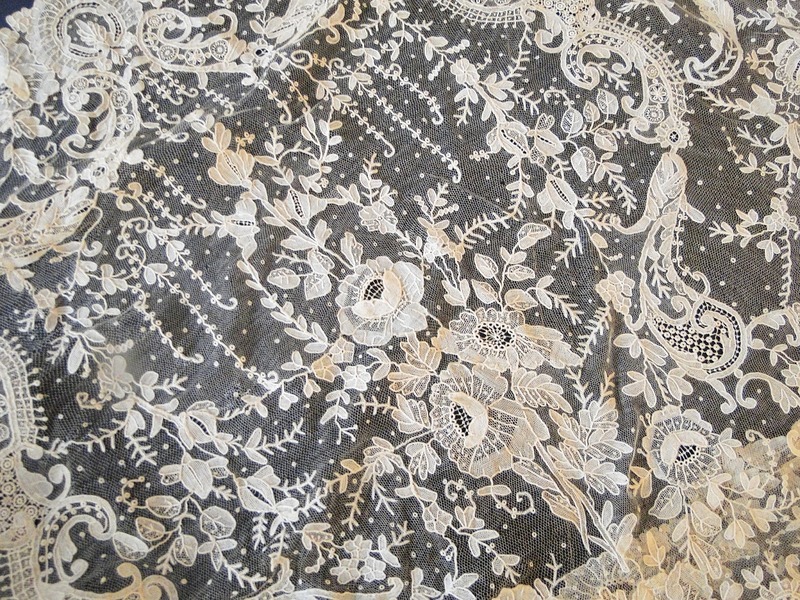 In very good strong condition, a few tiny minor openings. 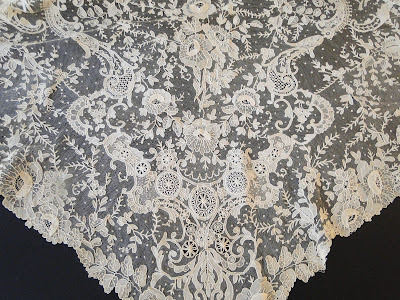 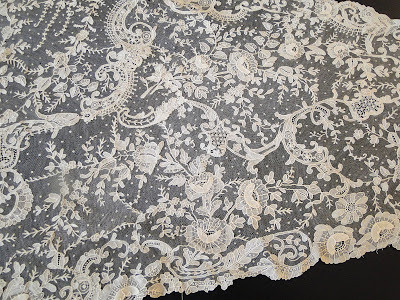 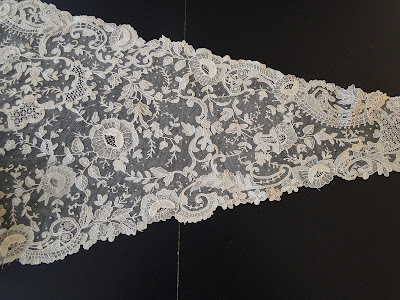 This shawl does not seem as if it was used much at all and so a wonderful items for the collector of fine Brussels lace.